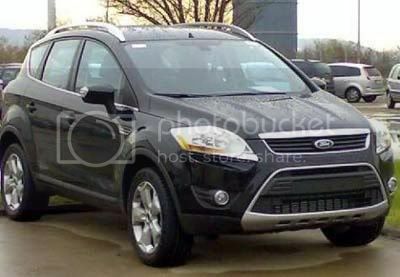 Here is the first photo of the production version of the Ford Kuga SUV completely uncovered. Based on the Iosis X Concept, a production preview model which debuted at the Frankfurt Motor Show this past september showing us all but a few minor trim and specification modifications. Fortunately, it appears Ford have kept their promise - judging by this photo, the only visible difference is the addition of the aluminum roof rails. Production will start early next year at Ford's Saarlouis plant in Germany with sales beginning throughout Europe sometime during spring 2008 and as per usual, the U.S won't be receiving this.